Complete an online enquiry form or contact your local Command office. Subscribe now and keep up to date. The Second Generation of digital signage has arrived. Digital Signage Success starts here. Remote Management, Multiple Display Zones, Scrolling Ticker, Interactive Buttons and 3G Modules some of the many available options. 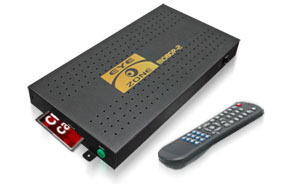 Connects to almost any display device, Eyzone Media Players are perfect for Digital Signage, Kiosks, Retail, Internal Communications, Menu Boards, Customer Information, Information Services, Exhibitions and Marketing and are portable enough to use for Presentations. For any questions about how a Command System would be suitable for your business or to arrange a time for an on-site or on-line demonstration, please contact us on 1300 780 204 or through our enquiry form. Command products and solutions are also available through your local AV and IT professionals. 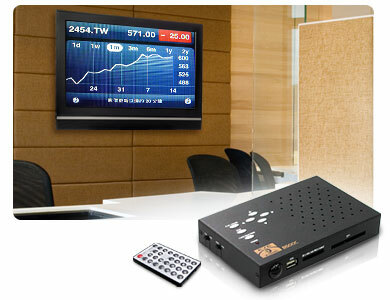 The High Definition Media Players are ideal for all types of digital signage. The following models have varying levels of features to suit your requirements. 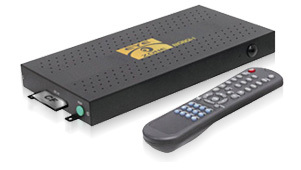 B1080i-1 High Definition Digital Media Player, 1360 x 768 Playback. B1080P-1 High Definition Digital Media Player, Network Ready. 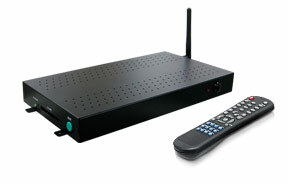 B1080PW-1 High Definition Digital Media Player, Wireless Network Ready. 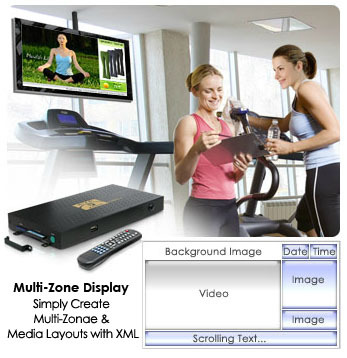 B1080P-3 High Definition Digital Media Player, Scrolling Ticker, Multiple display zones. 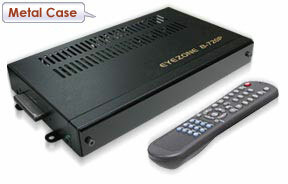 B1080P-4 High Definition Digital Media Player, Ticker, Multiple display zones, video input. 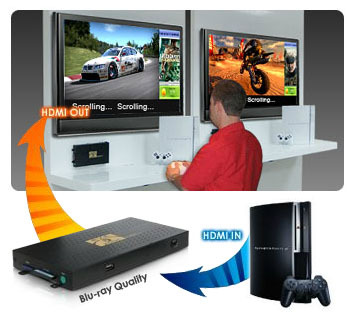 B1080P-5 High Definition Network Media Player with 3.5G Module. B1080P-6 High Definition Network Player, with GPS Module. B1080PX-3 High Performance, Network, Ticker, Multiple display zones. Remote management. 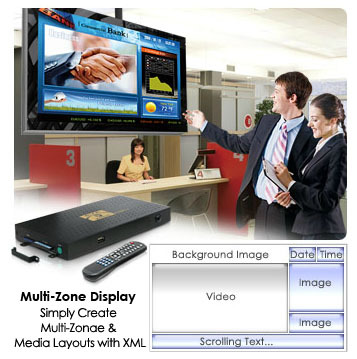 B1080PX-4 High Performance, Network, Ticker, Multiple display zones, HDMI input. B1080PX-5 High Performance, Network, Ticker, Multiple display zones, with 3.5G Module. 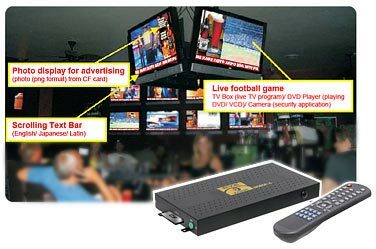 The Standard Definition Media Players are ideal for all types of digital signage, in particular, projectors and plasma displays..
B500C Palm size, ideal for presentations, 640 x 480 playback. B720PS Digital Media Player, 1280 x 768 playback.